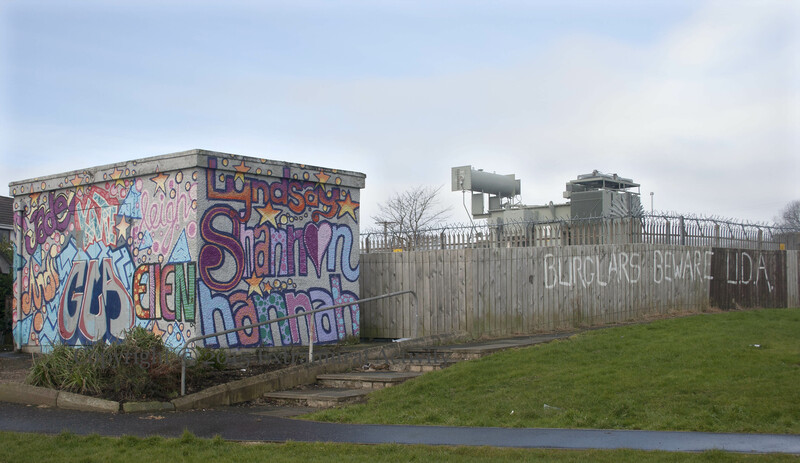 The 2010 work of Jade, Andi, Katie, Leigh, Ellen, Lyndsay, Shannon, and Hannah on the substation at the top of the Glenfield estate’s Oakfield Road has been replaced this week by a new UDA mural sporting a hooded gunman facing the viewer with a slogan borrowed from Mexican revolutionary Emiliano Zapata: “Better to die on your feet than live on your knees in an Irish republic. 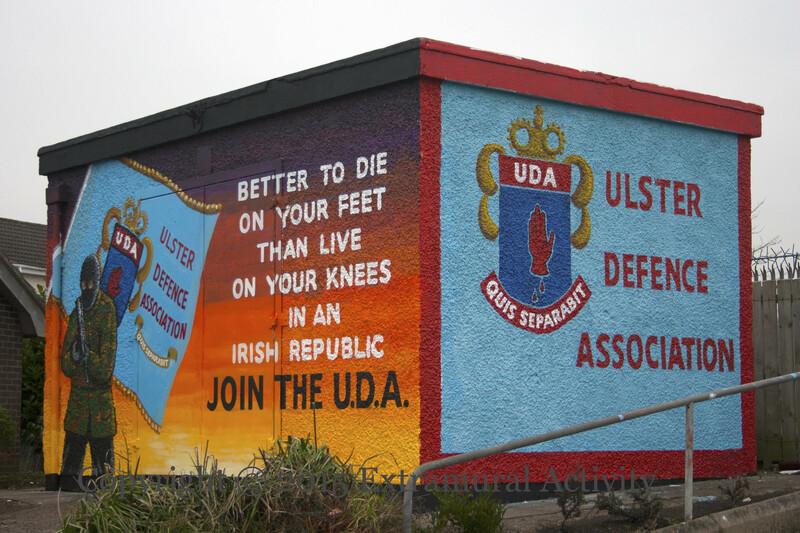 Join the UDA.”. 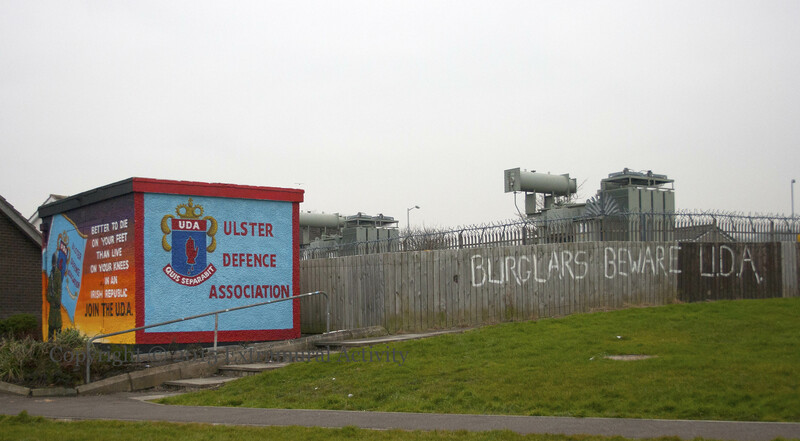 The mural has been criticized by both DUP and Alliance councillors (Newsletter). 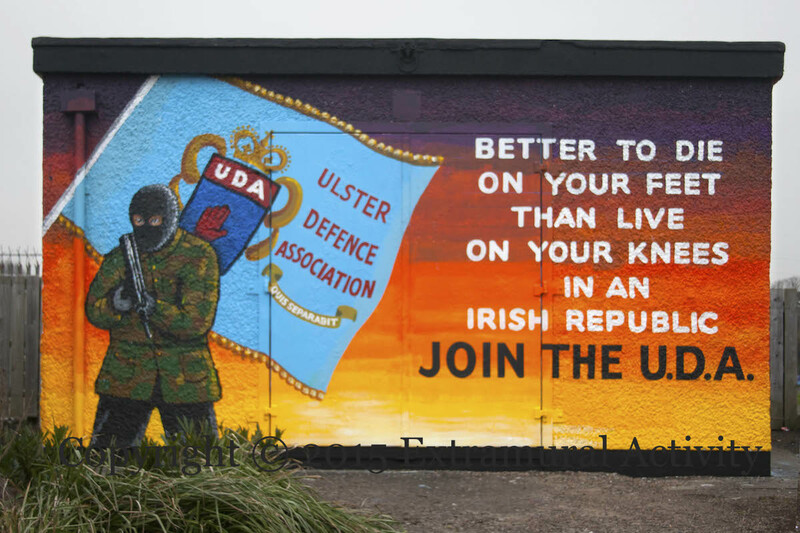 The final words – Join the UDA – have drawn particular ire, as in other respects it is similar to other murals in featuring hooded gunmen, such as these two other Carrickfergus murals: Inclusion | Eternal Vigilance. The two wide shots below allow you to compare the scene this week with last week.